In order to work in a Software development team, you need to contribute in both backend and frontend, and that's where this knowledge helps. You might have also seen Job description where a company needs developers with Java + Angular or Java + React skill. Anyway, this is the second part of my article on what should Java programmer learn this year. In the first part, 10 Things Java developer should learn where I have focused on essential upgrades like Java 8, Java 12, Spring 5.1, Spring Boot 2.1 etc, but in this article, I'll talk about some of the best Java frameworks you should learn to give your career a boost. Technology changes really fast, in just a couple of years what was the hottest technology or framework of 2014 is no longer used anymore and as a programmer and application developer, our biggest challenge is to keep pace with the technology. A good example of this is the Spring framework. Earlier it was just enough to know how to use Spring framework to get a job in Java web development world but today you should know Spring Boot and Spring Cloud to be part of modern day Java development. The Spring framework is the most popular Java framework and almost all of Java development happens using that, except for Android apps. It is constantly evolving and for the benefit of the developer itself but you also need to put effort to keep pace with it. It's not necessary to learn all these frameworks, instead, you should choose which is most important for your depending on your requirement and job profile. For most of the Java developer, I suggest, Spring Boot because this is now the standard way to use Spring in many companies. But, if you are working on a project where you are using React or Angular then feel free to learn those. You might have heard about the magical prowess of Spring Boot. It's a game-changing framework which is probably the best thing happen to Java world since the Spring framework. Much like Spring, which aims to solve problems associated with enterprise Java development, Spring Boot solves the problem associated with Spring Application development to make it even easier for Java developer to create Java web application using Spring. Even though Spring offers a lot in terms of dependency injection and many templates like JdbcTemplate, RestTemplate it also expects a lot from you in terms of learning curve, configuration, and dependency management, which creates development friction. Spring Boot aims to solve that by introducing a host of convenient features like auto-configuration, starter dependency, Spring Boot CLI and Spring Actuator. The auto-configuration feature takes away all the pain for configuration common functionalities e.g. it can automatically configure JdbcTemplate and an in-memory database if their JAR dependency is present in the classpath. It makes 200+ such decisions which can help to auto-configure spring web, security, and other aspects. Similarly, starter dependency removes the pain for jotting down all dependency you need and working to find a compatible version which plays well together. Now you can get most of the common dependency by including just one starter POM e.g. spring-boot-starter-web can pull Spring MVC, Jackson and Embedded Tomcat server. 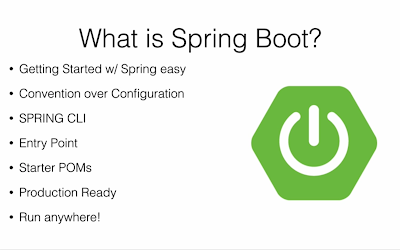 These are just some of the features of Spring Boot which we have explored. If you are interested in Spring Boot then I suggest you join a Spring Boot course like Learn Spring Boot - Rapid Spring Application Development to learn this awesome framework in detail. If you love reading books then Spring Boot in Action by Craig Walls is also a good place to start with. Developing application for cloud has its own challenges and Spring Cloud aims to solve those. It provides tools for Java developers to quickly build some of the common patterns of cloud-based application e.g. configuration management, service discovery, circuit breaks, client-side load balancing, intelligent routing, distributed sessions etc. When you develop a cloud-based Java application you don't need to worry about Hardware, installing the operating system, database, and other software but your application still needs those to function. Cloud providers like Cloud-Found and Heroku provide those services to you but you need to do a lot of work to access those services and that's where Spring Cloud helps. It provides simple and efficient cloud connector to access those services by abstracting all cloud-specific details, which means you can access those essential services in the cloud just like you do in non-cloud environment e.g. you can connect to a database by just knowing host and port and login credentials. If you are thinking about cloud-based Java application e.g. 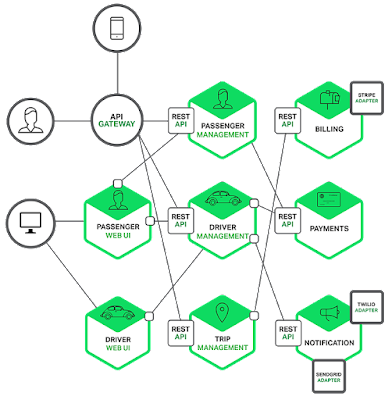 Microservices and want to learn how Spring Cloud can help you, I suggest you check out Master Microservices with Spring Boot and Spring Cloud, one of the best course to learn these two great frameworks. If you prefer to learn from books then Cloud Native Java book by Josh Long and company is another great resource to start with. Angular is not a new framework, it's been around for a couple of years. The earlier version of Angular was known as Angular JS but from Angular 2 the framework was completely different and re-written. It offers declarative templates with Data binding and brings dependency injection and unit testing to test your client-side code, which makes it a really popular framework for front-end development. But if you want to start with some free resources then you can also check out this list of free Angular Courses for web developers. Many Java projects which hash web GUI are now using React instead of using FreeMarker, JSP, Thymeleaf or other standard Java View technologies. The main benefit of React is that you can create a component and reuse them which makes the development easier e.g. if you have a list of elements with just different data, you can reuse your custom list component created using React with different data. Just like Angular is backed by Google, React is backed by Facebook, which means it's not going to fade in a couple of years and any investment you made in learning React will go a long way to the server you in your career. 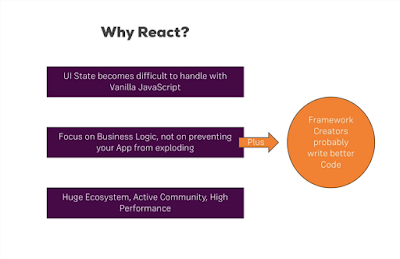 In short, React is a great framework to learn in 2019 for both Java and web developer and if you want to learn then React 16 - The Complete Guide is is the best course to start with. But, If you need some free resources then you can also check out my list of free React courses to try. 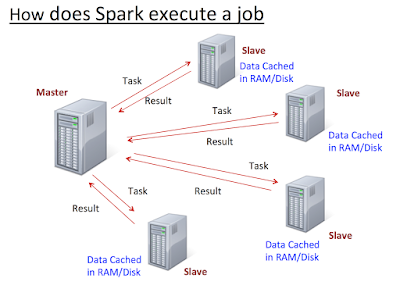 Apache Spark is the next big framework in Big Data Space. Even though Hadoop is much more popular and used in the Big Data Space, things are changing quickly because of the improved speed and performance of Apache Spark. It's touted that its 100 times faster than Hadoop, which makes it ideal for analysis huge amount of data today's Global applications are generating. If you are a Java developer and interested in Big Data space then learning Apache Spark can give your career a boost. There are a lot of opportunities in the Big Data space and huge demands for a developer with Hadoop and Apache Spark experience. If you want to learn Apache Spark in 2019, I suggest you take a look at Apache Spark with Java course on Udemy. I got in just $10.99 USD earlier this year and you can get it too on Udemy's frequently flash sale. Btw, if you need some gree courses to start with then you can check out this list of free Apache Spark Courses for Java developers. Apart from the evolution on how we create a web application, there are new opportunities coming on Big Data and Machine learning space and there are certain Java frameworks like Apache Spark and Hadoop which you can learn to take advantage of these upcoming opportunities. React is also everywhere these days. If you are looking to increase your value as a Java web developer, you need this framework under your belt! With Facebook and its massive power behind it and a growing community of UI developers, React is well supported and always improving. React powers Facebook, Netflix, the New York Times, Uber, and many other apps. If you feel these top 5 frameworks are not enough and you already know these and looking for some more awesome tools and libraries to learn in 2019, here are some interesting articles to check out Java frameworks related to automation, testing, web service, and microservices. Thanks for reading this article so far. If you like these Java Frameworks then please share with your friends and colleagues. If you have any questions or feedback then please drop a note. Except Spark, these are frameworks you HAVE to avoid. Spring Boot is probably the worst.It is slow! Spending 20-30s on each startup really drags down development. And as in any Spring stuff, you will be coding xml and annotating stuff less than programming. If you want Java/JVM type-safety framework go with Vertx. Angular and React were hot before. Now the hottest stuff on the frontend is Vue. I won't agree on that.Angular and React are still rocking,Also spring boot is solid.what do u mean by slow. Hello Joe, Even though Vue.js has made a lot of progress, most of the companies are still using Angular and React, hence it make sense to learn them.